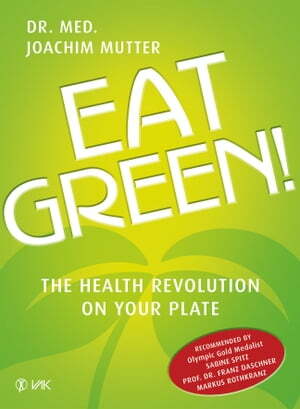 Collins Booksellers - Eat Green! by Dr. med. Joachim Mutter, 9783954849987. Buy this book online. All chronic diseases are based on harming factors together with massive nutritional deficiencies, says environmental medicine physician Dr. med. Joachim Mutter. The most important "tool" for health and vitality lies in our own hands: our nutrition. Everyone can get healthy by eating the right things. Today we know that our food not only plays a decisive role for the development of diseases but also for their cure. Dr. Joachim Mutter does away with usual nutrition recommendations and diets and explains which harmful incidents in our body are caused by eating conventionally. Dr. Mutter cured himself by a consistent change of his own nutrition and knows how we can get fit and healthy by eating the right food: raw fruits and vegetables full of vital substances.